The Book Thief is the latest in an ever-increasing line of novels to make their way to the silver screen. Based on Markus Zusak’s bestseller, it tells the story of young orphan Liesel (Sophie Nélisse) who is sent to live with her adoptive family Hans (Geoffrey Rush) and Rosa (Emily Watson) in World War II Germany. I was lucky enough to interview Watson for HeyUGuys ahead of The Book Thief’s UK release this week, and the actress talks about the importance of both the book and the screenplay, whether or not she would consider taking on a role such as this without having read the source material, and making the most out of bad situations on set. The Book Thief opens in UK cinemas on Wednesday. This entry was posted on February 26, 2014 by Amonymous. 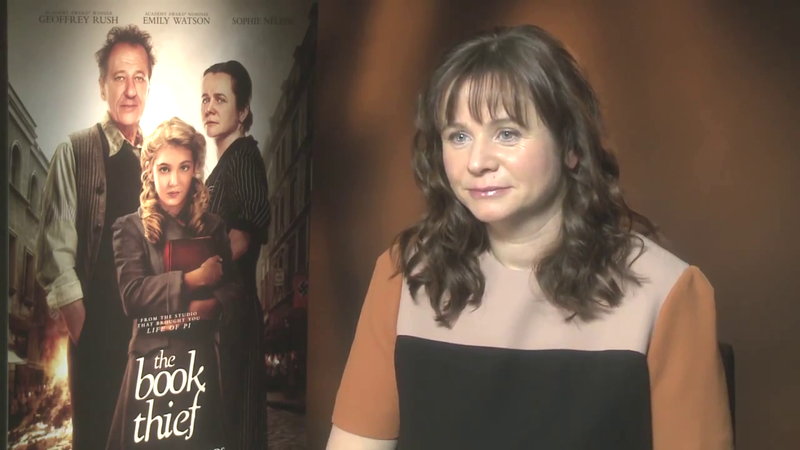 It was filed under Interviews and was tagged with Emily Watson, The Book Thief. Fabulous work Amon. Love Emily Watson. You never cease to impress me with the interviews you’re involved in these days. Bravo sir! Thank you good sir, much appreciated. Hope to be doing more soon.